Is it time to do that kitchen remodeling you've always been wanting to have done? If so, then you’ve come to the right place. Your kitchen is one of the most used rooms in your home, so creating a kitchen design that meets your requirements, budget and personal style is very important to us. DeYoung Brothers Construction's goal is to create that vision that you have always wanted. It starts with an initial consultation so that we get a full understanding as to what you are wanting us to design and build for you. 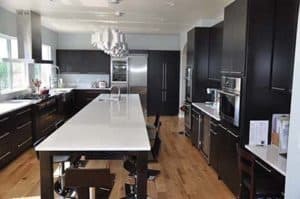 From that, our kitchen remodeling specialists will create a design that fits your kitchen dream of having a wonderful space for your family and you. And, it adds to the value of your home! DeYoung Brothers Construction is a licensed and insured contractor and has been in business since 2002. We specialize in kitchen remodeling and take deep pride in every project that we do. Please give us a call at (303) 829-3374, or fill-out the form to Get a Quote and we will get back with you right away to schedule a time to meet.